DESCRIPTION Looking for a place to "get away from it all"? The Hamlet of Swalwell may be just the place! 5 lot package (125' frontage) with mobile - serviced with water, sewer & nat gas. Would make a great weekend retreat (needs some TLC), or replace the mobile & make it your permanent home. Additional adjacent 4 lot package (unserviced) also available (MLS#C4229373)(2 separate titles). About 1hr from calgary - 20min to Three hills. Lots of recreation in the area incl golf & fishing at the Swalwell dam. Home for sale at 127 Railway AV S Swalwell, Alberts T0M 1Y0. 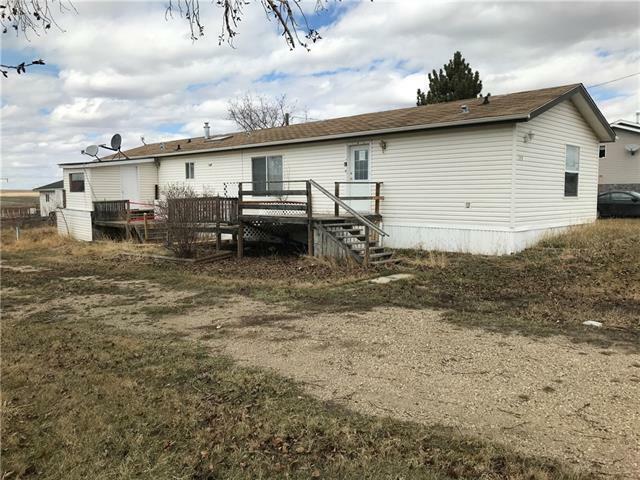 Description: The home at 127 Railway AV S Swalwell, Alberta T0M 1Y0 with the MLS® Number C4229333 is currently listed at $65,900.